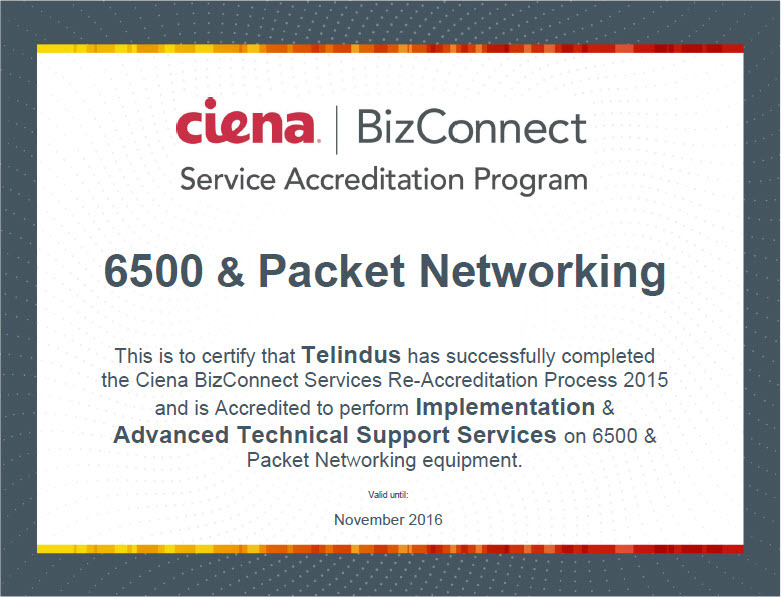 Telindus brings in the New Year as first to achieve Ciena Advanced Technical Support Status Worldwide! In this guest post from Managing Director Geert Degezelle of Telindus, Geert talks about Telindus' achievement as the first organization to achieve Ciena’s Advanced Technical Support Status (ATTS) worldwide. 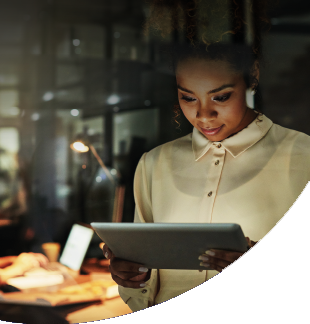 As an ATSS accredited BizConnect partner Telindus’ sales teams are now able to independently impart their detailed knowledge and expertise on Ciena’s full portfolio, helping end-customers identify and deploy the best possible converged packet-optical solutions. This specialized knowledge ensures that we can offer our customers not only valuable experience and knowledge, but also on-going technical advice and support. Expanded capabilities and in-house expertise put Ciena’s packet-optical solutions at the centre of Telindus’ 2016 priorities. 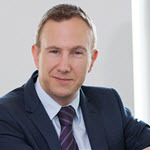 Geert Degezelle has 20 years’ experience in IT and telecoms, utilizing his passion for ICT by taking advantage of trends and innovations to ensure business success. By embracing new technological developments, such as the hybrid cloud and software defined anything, Geert has ensured that Telindus has truly become a trusted partner, helping its customers shift their focus from technology to innovation and turning ICT into a business enabler. 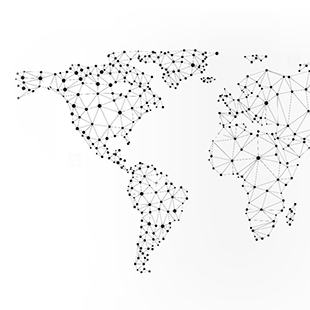 With a vast array of data, applications and even entire businesses now virtualized - in data centres or cloud environments - the network has never been more important. And converged packet optical networks are critical for ensuring fast, flexible and reliable access to these critical cloud resources. However, coordinating the ecosystem on which the cloud depends means going beyond addressing technology requirements to enabling integrated ICT solutions. As an international, network-centric ICT partner, Telindus has a deep understanding of enterprise business requirements and a solution mix to help navigate the cloud ecosystem; which is why all of us at Telindus are extremely proud to become the first organization to achieve Ciena’s Advanced Technical Support Status (ATTS)! 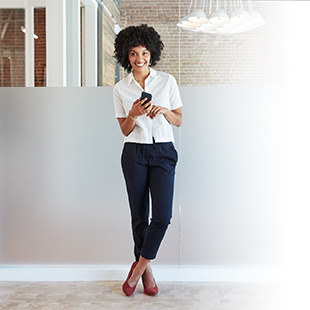 As an ATSS accredited BizConnect partner Telindus’ sales teams are now able to independently impart their detailed knowledge and expertise on Ciena’s full portfolio, helping end-customers identify and deploy the best possible converged packet-optical solutions. This specialized knowledge ensures that we can offer our customers not only valuable experience and knowledge, but also on-going technical advice and support. Telindus’ fully equipped competence centre, highly skilled packet-optical specialists, professional optical measuring equipment, managed services and spare parts, ensure it has a unique proposition within the Dutch market, delivering Ciena network solutions from design to management. As we have everything in-house we can guarantee a call-to-fix effectively within four hours, with engineers available 24x7. As well as being ATSS certified, Telindus engineers are also Ciena BizConnect Champions, giving us unprecedented access to Ciena’s the R&D department and ensuring we are always the first to know about the latest innovations and developments. Many thanks Ciena; here’s to a bright, optical New Year! Telindus provides specialist,​​ multi-vendor infrastructure solutions that ensure seamless connectivity for its enterprise and service provider clients. As an end-to-end ICT partner, it develops, integrates and supports a full range of cloud, virtualisation, computing, storage, networking and security strategies to improve the overall business efficiency through IT. For more information: www.telindus.nl or follow Telindus at twitter.com/telindus.